Sometimes your refrigerator ice maker makes ice, but does not dispense it. 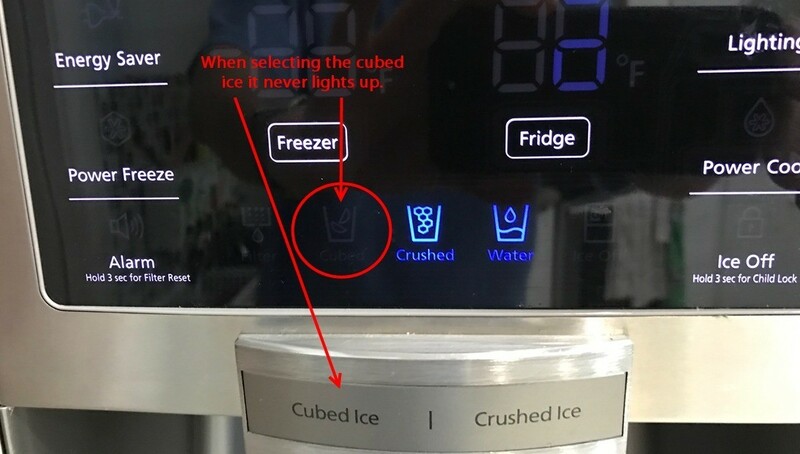 This is a guide about ice maker not dispensing ice. My Whirlpool side-by-side refrigerator makes ice, but it will not dispense crushed or cubed ice. It does dispense water. Is there a way I can fix it? I know calling a serviceman is going to cost too much. I can still get ice from inside the freezer. I have a Frigidaire side by side fridge. 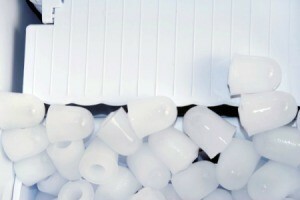 The ice maker produces ice, but the ice just sits on top of the ice maker and rarely drops into the ice tray. When it does drop, it is a huge chunk of ice that won't fit down the dispenser and is too big to fit into a glass. Join the club! Have been having this problem for awhile myself. I have found that the shelf-tray that sits over the ice bin is often the problem. If it gets pushed all the way back to the ice maker it prevents the metal arm from full motion and stops the ice from dropping into the bin. I have to take the shelf off and pop the ice off the maker. If left too long on the maker it starts dehydrating and often clumps into one large chunk. I check about once a day or so now, out of habit. I try not to put anything on the shelf over the bin and also try to keep it pulled out just a little so it doesn't obstruct the dispenser arm. Easier said than done. I have tried to put things on the back of the shelf to keep it out a bit but nothing has been especially successful. If you figure something out, let me know. I think this ice maker is just poorly designed since I have not had this problem with other units. Had the same problem. The auger motor was not turning. I could hear the motor hum when I depressed the lever to dispense ice and the door switch. The motor seemed to be stuck. I then tapped the auger twice and tried again to activate it and it worked!!!! You either need to repair or replace the ice auger motor. You either have to repair or replace the ice auger motor. Frigidaire ice maker makes ice, but will not dispense it! The metal curly thing goes around, but pushes ice to the top and to the front, but not out when you push ice dispenser button. Is there an easy fix or not? My Whirlpool refrigerator makes ice, but only dispenses water no matter which button of the three is depressed. I don't know if it is a problem with the board or possibly just the selector buttons. Any luck that your fridge is still under warranty? You can call and ask customer support. I have Kenmore side by side. Two days ago everything worked fine and then it happened. It still makes ice cold water, but when I push for ice to come out nothing happens. I don't hear the motor or the crushed ice. What do I do? I have a nearly new refrigerator with ice in the door. The icemaker makes plenty of ice and when I hold a glass to the lever, a sound is made, but the ice only dispenses once in a while. After the first couple of times, we stopped trying and we scoop the ice out of the tray. The water dispenses fine. What could be the problem? 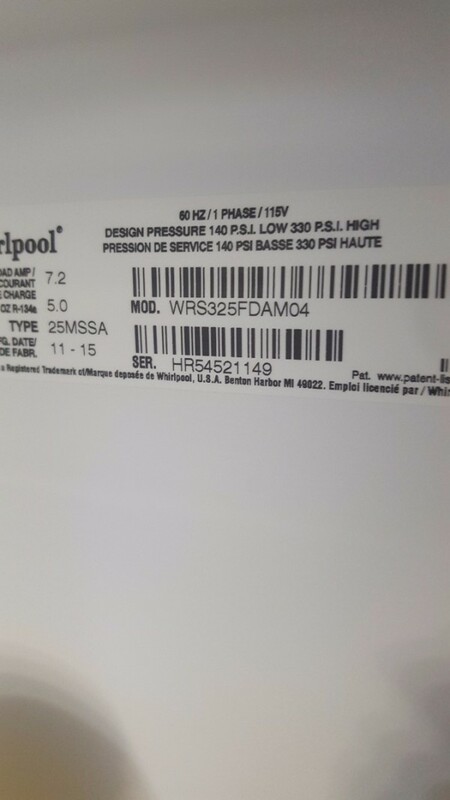 How do you replace the auger motor in a Kenmore refrigerator model #253.54363403? I actually had to replace ours in late August. We have the fridge with the freezer in the bottom. Anyway, there were 2 screws holding it in then there is a wire plugged into the box. Once that was out, all it took was repairing/replacing the ice making unit. Getting it back in was a bit challenging. I had to lay on the floor and do it all in reverse, not an easy task for me since I have a lot of health issues..lol Best of luck repairing/replacing your unit..
My Kenmore refrigerator quit dispensing ice from the door. It still makes ice and gives water. The light works but no ice cometh. Any ideas? Is it possible a plug of ice has formed up in there somewhere? That's just a theory. I don't know how you'd test it. 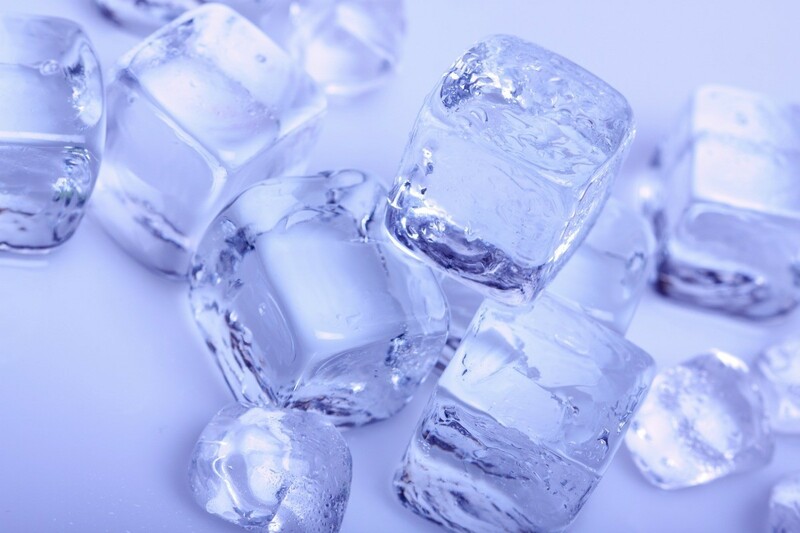 Remove ice cubes from the ice caddy ; use a hair dryer to melt built up /stuck ice cubes from the chute. Use a towel on the floor to catch drippings. I don't know why the chute clogs, but mine does it too. Wish I knew how to prevent it. I have a nearly new refrigerator with ice in the door. The icemaker makes plenty of ice and when I hold a glass to the lever, a sound is made but the ice only dispenses once in a while. After the first couple of times, we stopped trying and we scoop the ice out of the tray. The water dispenses fine. What could be the problem? Make sure the ice shoot in the door is not blocked. We got a new one last year and had the same problem.....there was a piece of plastic tape in there....removed it and it fixed the problem. I have Kenmore side by side. Two days ago everything worked fine and then it happened. It still makes ice cold water, but when I push for ice to come out nothing happens. I don't hear the motor or the crushed ice. What do I do? My fridige is only three weeks old. What can I do for the ice to drop down in the glass? My Amana refrigerator ice maker does not drop the ice when the lever is pushed to get the ice. What is wrong? It was always working till just this week. I have a 2012 Kenmore French door bottom freezer refrigerator, that is making ice, but the ice will not dispense. The water works. There is no noise when the dispenser paddle is pushed. The auger is in the correct position. Maybe it needs a new motor? Ice is being made satisfactorily. The motor sounds to be running normally. The spindle from the motor, visible when the ice bucket is removed does not turn. Is it mechanical or electronic and what to do? I have a side by side refrigerator and the ice maker is making ice however it's not coming out the tray. The tray itself keeps getting frozen which doesn't allow the ice to dispense. My ice maker is making a clicking noise and not making much ice. Ice appears to be in the maker, but is not dispensing. I noticed smoke tonight. Refrigerator ice makers can sometimes get stuck or stop working, requiring maintenance. This has tips if your Samsung refrigerator ice maker will not dispense ice. An ice dispenser is a wonderful addition to have on your refrigerator, if it is working properly. If your refrigerator makes ice, but will not dispense it, there may be something blocking it or the refrigerator need to be repaired.